Bridesmaid dresses - flower girl - Junior bridesmaid. If you don't see your color choice... View color choices here Email me a sample and I'll match it. Custom dresses from our designs or yours. Send us a sketch or photo and I'll make it. Customize your Prom - Pageant dresses - Fancy Party Dresses. Visualize it and it can be Yours. Picture any dress on this page in the custom fabric and color of your choice, knee length, tea length or floor length. Go for BOLD, or soft pastel colors. Make it taffeta for the iridescent glow, chiffon for a free flowing dance. 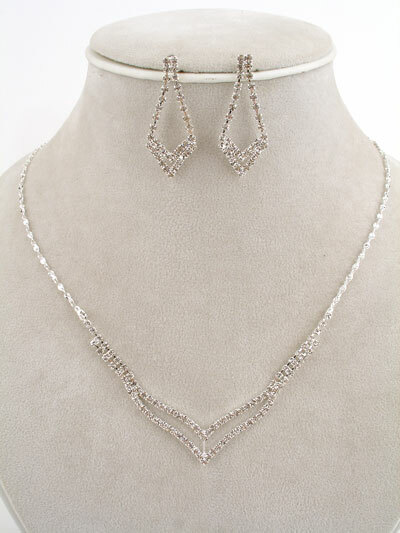 Add Beaded embellishments, embroidered lace, sequins...follow your Dreams, and make your Special Occasion Perfect. Fashion a style that is Perfect for you. Don't like the ruffle, remove it. Want different sleeves, add them. Want to Combine Dresses, go for it. Use your imagination and Design the Best Dress Ever. Whether it's a family portrait, a holiday visit or a music recital, our luxurious dresses are the perfect attire to make the moment magical. We will make the dress that you have your heart set on. Mix and match your dress styles and colors to individualize your wedding party. Dressing a bridal party is not cheap, but our prices will surprise you. This collection will be available to ship in 8 weeks. Reserve your dresses, now. The wedding dress you buy doesn't come with veil, gloves, shawl or other accessories that are in the pictures. Experts are predicting an explosion in fresher, brighter colors for weddings. Available in Bridesmaid size 0 to 28W - Infant sizes 6mo to 24 mo - Girls sizes 2 to 8 - Junior sizes 9 to 16. Matching boys custom color vest and tie sets are available. Perhaps you need truffle color vest/tie set for boys. We have them. Long light pink and merlot Bridesmaid dresses matching junior bridesmaid dress and flower girl dress. This short bridal party dress is shown in contrasting shades of blue. This short halter neckline, bridal party dress is shown in Blue and Black. Olive Green mismatched bridal party dress styles. Pink mismatched bridal party dress styles. 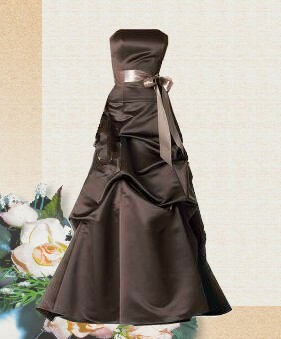 This pick up style strapless brown dress features a floor length full gathered skirt. The waistline is accented with a contrasting colored sash. Short wedding dresses are previewing for 2010. Cut short and with an ultra-modern look. Cheap brides maid dresses. Strapless bodice with empire band, short slim skirt. Ruched bodice and dropped waistline slims this short silk dress. Strapless empire short dress. Available in Bridesmaid size 0 to 28W - Infant sizes 6mo to 24 mo - Girls sizes 2 to 16. These Dresses are by Special Order and is specifically made to fulfill your order. Please note that all items by Special Order is Non-Returnable. Please Measure Carefully. CUSTOM MEASUREMENTS - 8 Weeks at an additional charge. per dress. We are glad you visited our online wedding shop. Remember about your friends, family and other people you know they are planning their wedding ceremony. Tell them about our online shop!